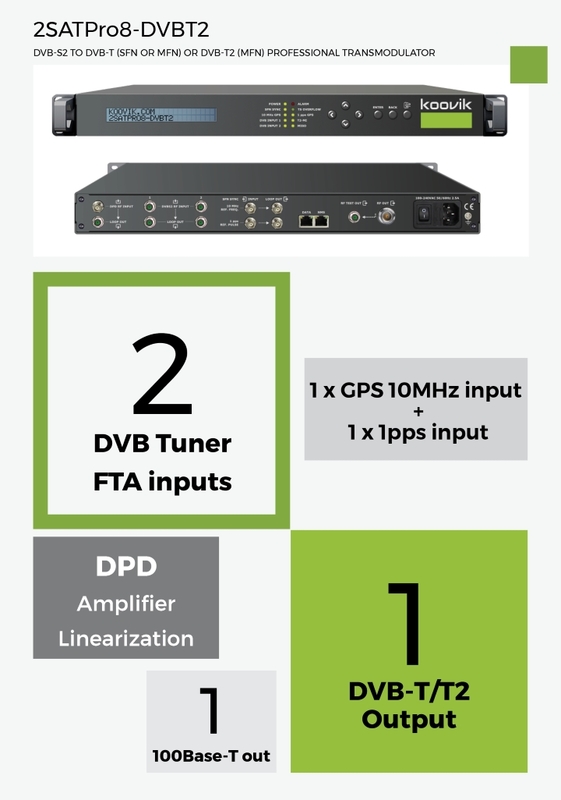 2 DVB-S2 INPUTS. ( Option: 2 x DVB-T/T2 inputs ). Supports BISS-1 and BISS-E descrambling. Supports SISO and MISO techniques.